One thousand years ago, a wish was made to the Harbinger of Change and a sword of rage and lightning was forged. Kamigoroshi. The Godslayer. It had one task: to seal away the powerful demon Hakaimono.Now he has broken free.Kitsune shapeshifter Yumeko has one task: to take her piece of the ancient and powerful scroll to the Steel Feather temple in order to prevent the summoning of the Harbinger of Change, the great Kami Dragon who will grant one wish to whomever holds the Scroll of a Thousand Prayers. But she has a new enemy now. 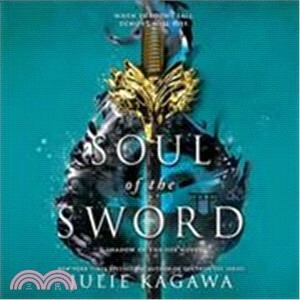 The demon Hakaimono, who for centuries was trapped in a cursed sword, has escaped and possessed the boy she thought would protect her, Kage Tatsumi of the Shadow Clan.Hakaimono has done the unthinkable and joined forces with the Master of Demons in order to break the curse of the sword and set himself free. To overthrow the empire and cover the land in darkness, they need one thing: the Scroll of a Thousand Prayers. As the paths of Yumeko and the possessed Tatsumi cross once again, the entire empire will be thrown into chaos.